Recent searches: Belle of the Ball, Oh My Goods! 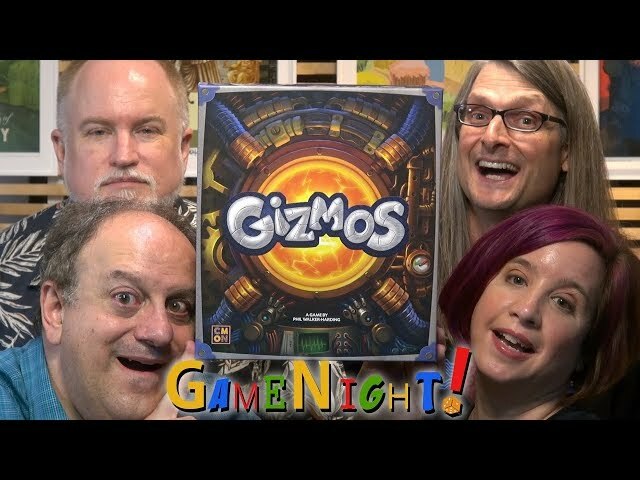 Gizmos is a family game for those who want to build engines — getting things done faster, better, with the power of science!. Using the four types of energy marbles, plucked from the 3D marble dispenser, purchase and construct new additions to your works. As you build, new attachments can trigger chain reactions, letting you do even more on your turn. Whoever builds the greatest machine and collects the most victory points wins! Buy Gizmos for a tactile game of science and invention.